Today’s U.S. immigrant politicians stand on the shoulders of giants. Who were these historical figures? “She Galvanized a Movement” looks back at the women’s suffrage movement and the immigrant women—hidden movers and shakers—who were critical in the decades-long fight to grant American women the right to vote, and how they’re still influencing the democratic process of today. 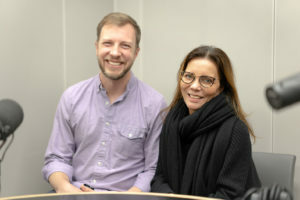 Valerie Paley is Senior Vice President, Director of the Center for Women’s History, and Chief Historian at the New-York Historical Society. A graduate of Vassar College, she holds an MA in American Studies and a PhD in History from Columbia University. She is the author of New York Rising: New York and the Founding of the United States. She was the curator of the NYHS exhibit The Battle of the Ballot: The Centennial of Women’s Suffrage in New York. 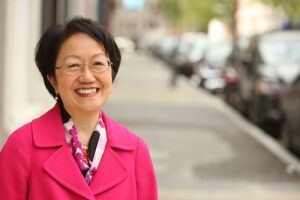 Margaret Chin is the City Council representative for District 1 in Lower Manhattan. Margaret is Chair of the Council’s Committee on Aging, and is a member of the Committees on Consumer Affairs and Business Licensing; Housing and Buildings; Rules, Privileges and Elections; Standards and Ethics and Youth Services. She proudly co-chairs the Women’s Caucus, and is a founding member of the Progressive Caucus and a member of the Black, Latino, and Asian Caucus. Margaret Chin immigrated to the U.S. with her family from Hong Kong when she was nine years old. She grew up in NYC Chinatown and attended P.S. 130 and JHS 65. She graduated from the Bronx High School of Science and from the City College of New York with a degree in education. Socialist, and might have voted for Eugene V. Debs in the 1920 presidential election. 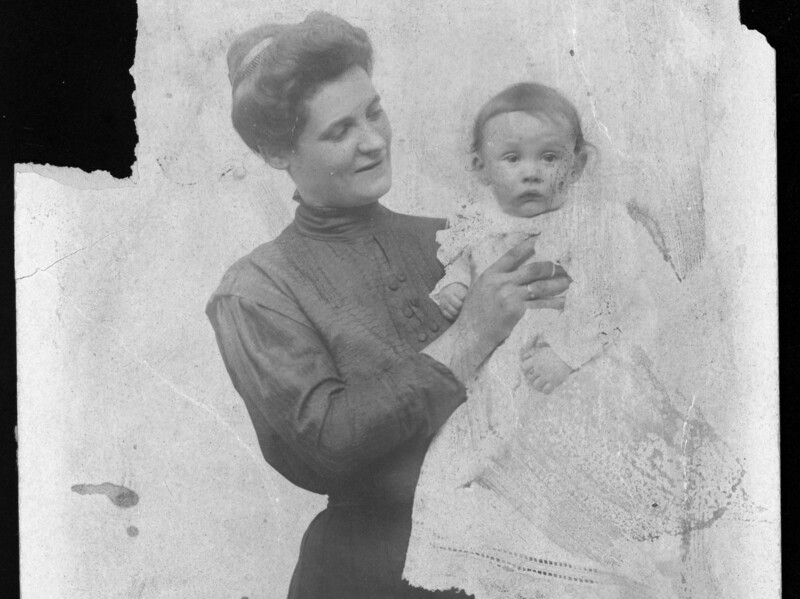 In this episode we discover the story of suffrage in New York City through the eye of Sarah and women like her: immigrants, mothers and workers. 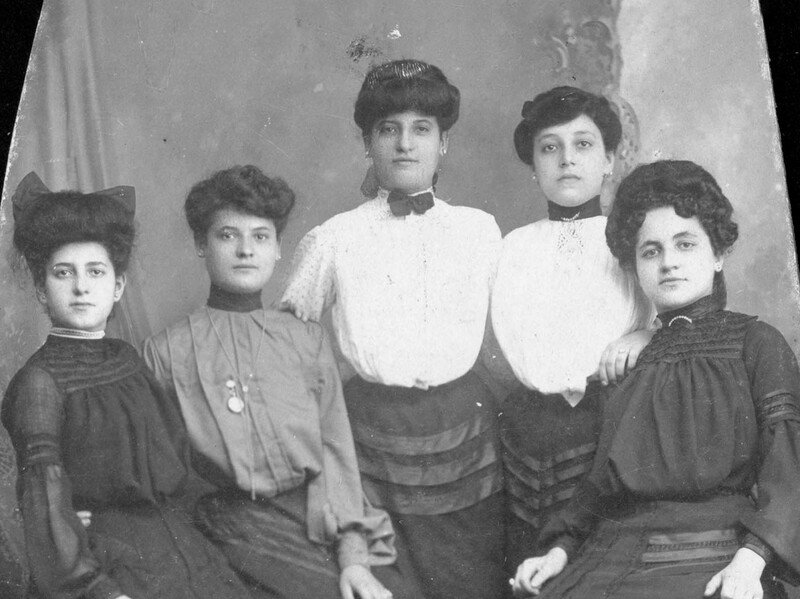 Sarah Burinescu (second from the left) posing with four women who were part of her political group to promote women's suffrage. Sarah Burinescu at left holding one on of her children. The Tenement Museum has conducted extensive research into the lives of the residents of 97 Orchard Street. This episode features the oral history of Jacqueline Burinescu Richter, the daughter of Sarah and Jacob Burninescu. Valerie Paley provided valuable information and context for the story of women’s suffrage in New York City.